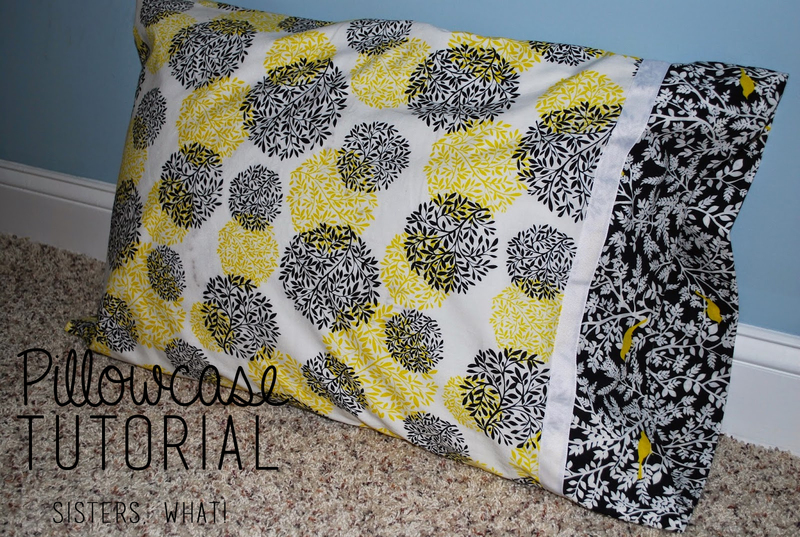 ' Pillowcase Tutorial - Handmade Christmas - Sisters, What! We decided to continue with a Handmade Christmas and add a few other great handmade gifts. 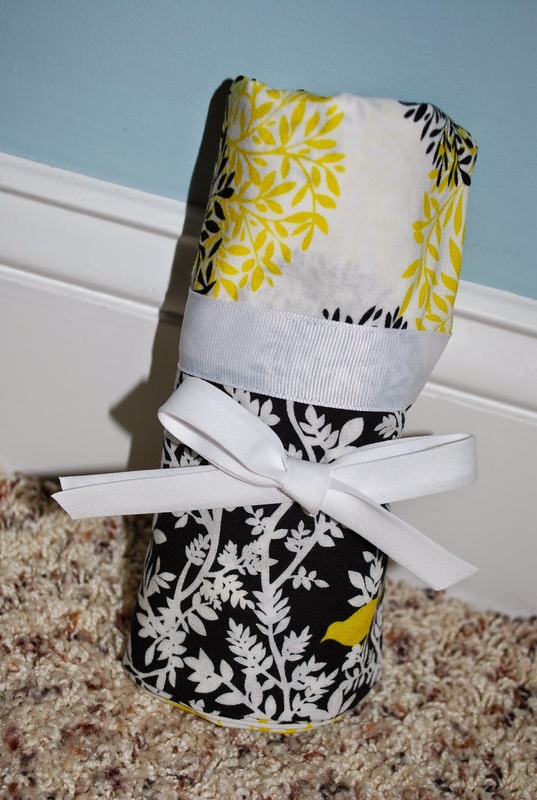 One of my favorite (and easy) gifts to make for the kid's friends is pillow cases. Everybody needs one and everybody loves having a fun one. Pillow cases are easy to make and kids love getting one that is either their favorite color or favorite cartoon character. Jackson (my son) has both a Batman and a Superman pillow case. Andrew (my other son) has a Star Wars pillow case. Anne (my daughter) has a pillow case that matches the quilt I made her as well as a pillow case with horses on it. This is really a gift that can be personalized for anyone. Another thought...this would be a great gift for a friend that is sick or a friend that is having a baby...who wouldn't love a cute personalized pillow case while in the hospital? For me, I like to use plain white pillow cases on my bed but when I go on vacation I like to put a fun pillow case on my pillow (yes, I take my pillow with me on vacation) so that my awesome pillow doesn't get confused with the other white pillow cases in hotels. So this could be a great gift or just a fun project for yourself! 2. 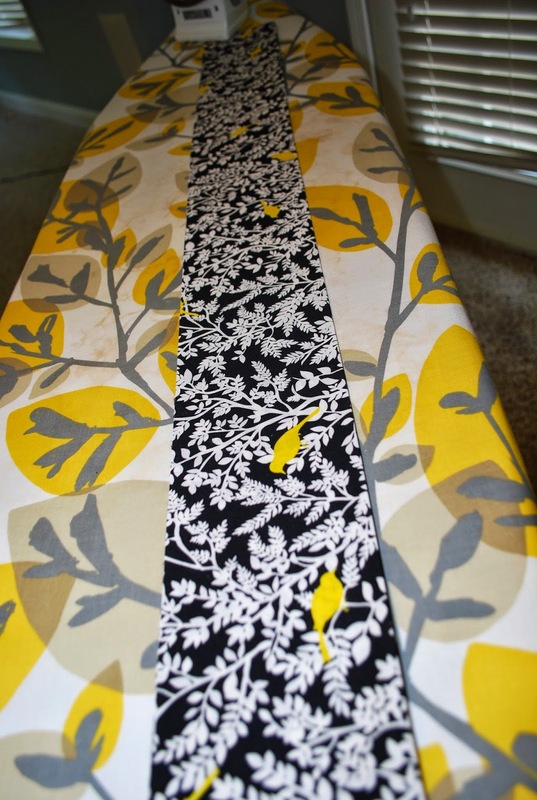 Next take your 1/4 yard piece to the ironing board and open it up. Fold it in half lengthwise with the pretty side out. Press this flat with your iron. 3. Now take your main fabric and open it up with the pretty side facing up. This too will be about 45" long. 4. 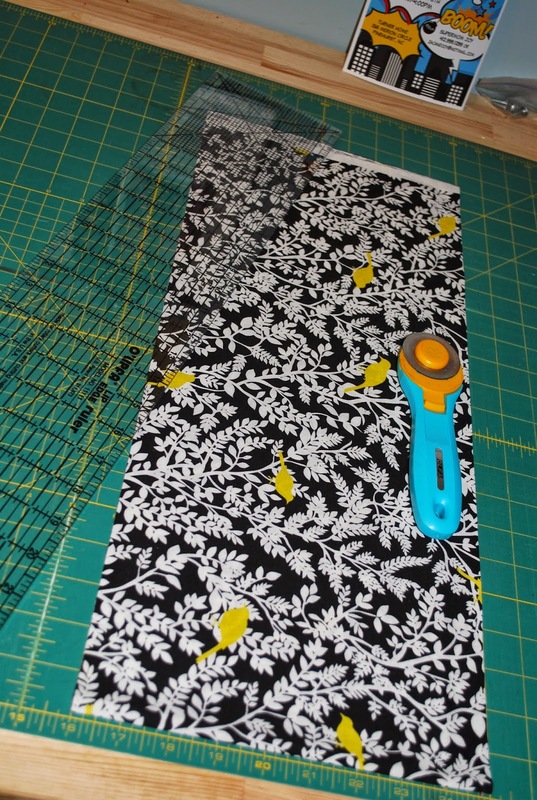 With the pretty side facing up lay the edging fabric you just pressed in step 2 across one of the raw edges of your main piece. This way your pretty sides are together and you are lined up across 1 raw edge. Stitch from top to bottom. 7. Stitch down the side then across the bottom to finish. The above picture is the pillowcase before I have turned it right side out. I like to take my pinking shears and cut around the seam so that when it's washed it won't fray. But this step isn't necessary. 8. Next turn the pillow case right side out and press. You could stop her but I love adding a ribbon along the seam just to add some visual interest between the two fabrics. 9. I sew the ribbon right along the seam on both sides of the ribbon. Voila! You made a pillow case! 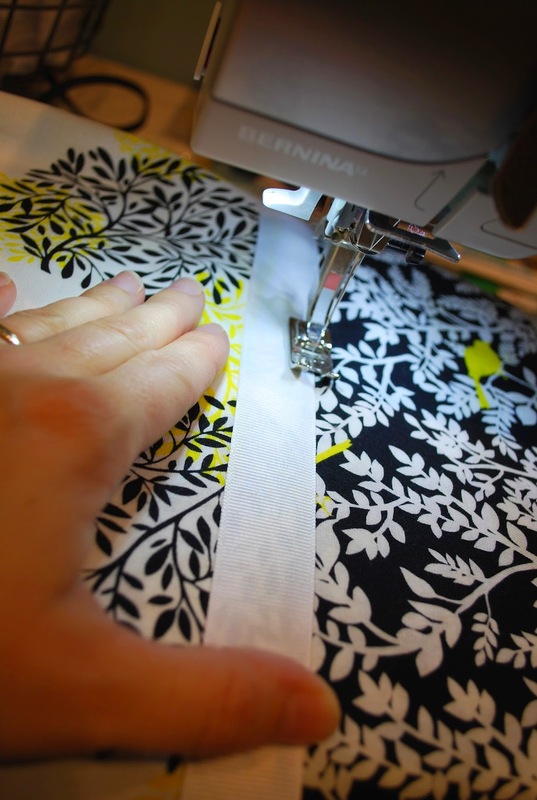 Easiest sewing project ever! Since this pillow case is for my I just fold it up. If it's getting used now just throw a regular sized pillow in it and have a nice nap. If it's a gift I like to fold it up then roll it up and add a ribbon. Give it to that special person and watch them smile! Enjoy! I just sewed up a whole bunch of these for a craft fair and now I'm hooked. A pair of matching or coordinating pillow cases is a great gift. I remember my friends mom making us all coordinating pillow cases one time for a sleepover. This is such a unique and simple gift idea for practically anyone! And I love how you tied it up! Fabulous, I might have to give this a go.